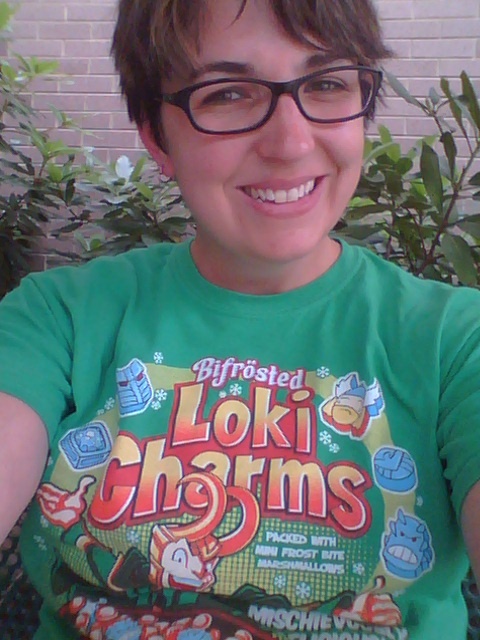 To paraphrase Simon Pegg, being a geek is not being afraid to demonstrate your affection for the things you like/love. 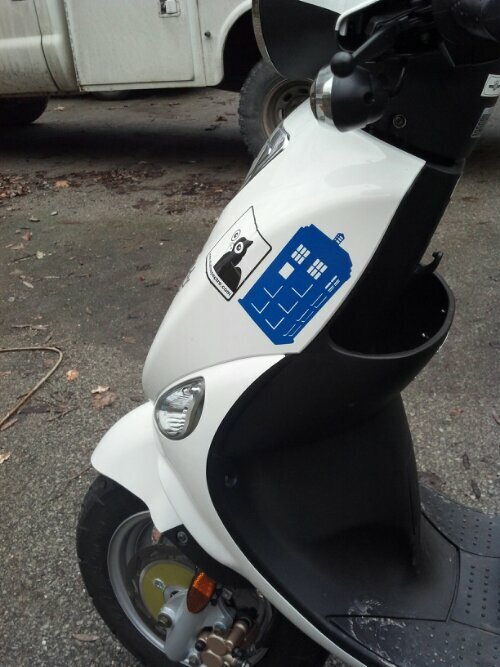 My car, my scooter, my home, my clothes all demonstrate my affections for the movies/music/books/television/etc that I love! It is a little strange for me to go from 0 output to, what, four posts in two days? Well, three new posts, one update, but that’s neither here nor there. This is another short post – similar to my bro’s ticket display painting (which, Bobby, if you are reading this, I need to know the size of the ticket). 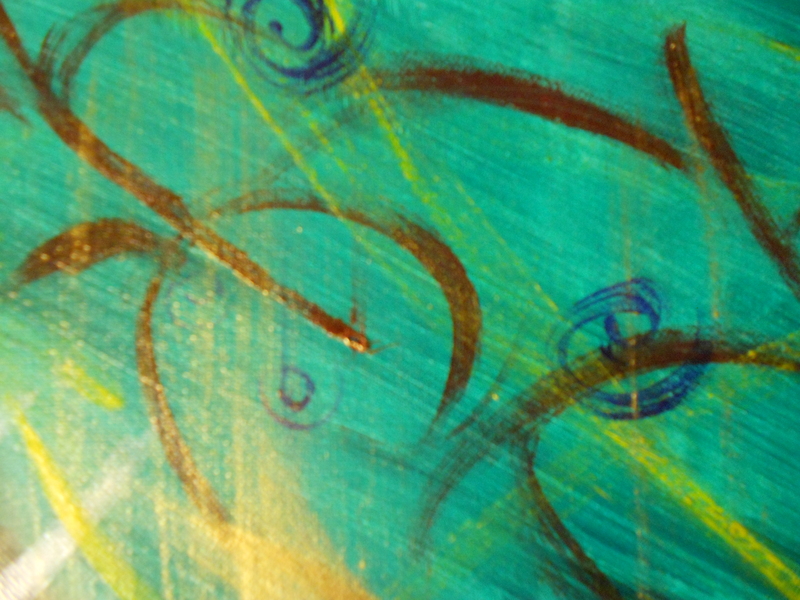 The painting I’m working on (again) is for my other brother, Ramin. Yes, you could say Ramin is my “brother from another mother”…and father…but I claim him, and love him, and that’s all that matters. To get really in-depth, we could say that the brother that I claim as a brother is my brother – but that might be taking this discussion too far away from the point (in fact, yes, I did go too far). Ramin spent Christmas with us this past year and it was a glorious time. Finally, after several years I could finally give him the Harry Potter painting I had been meaning to send. It made my day to see that he actually liked it. 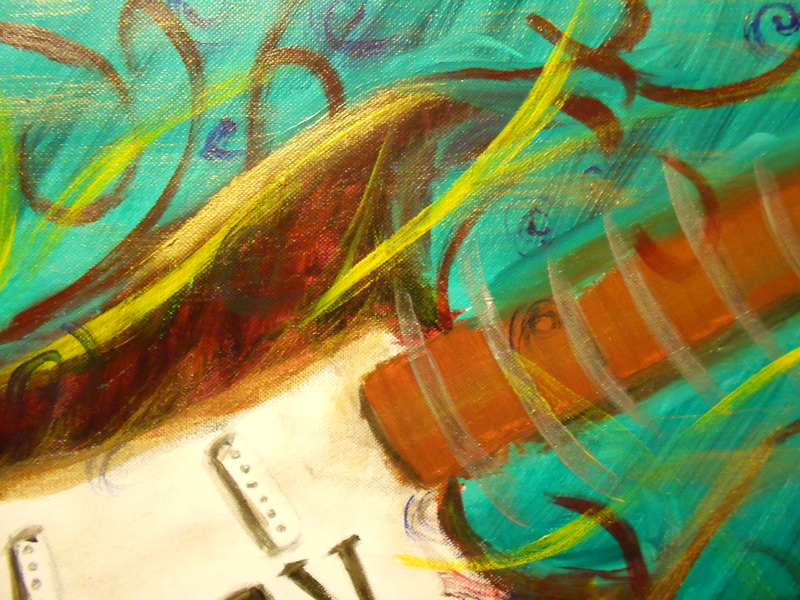 He liked it so much, in fact, that he asked me to work on a painting for his new music room! 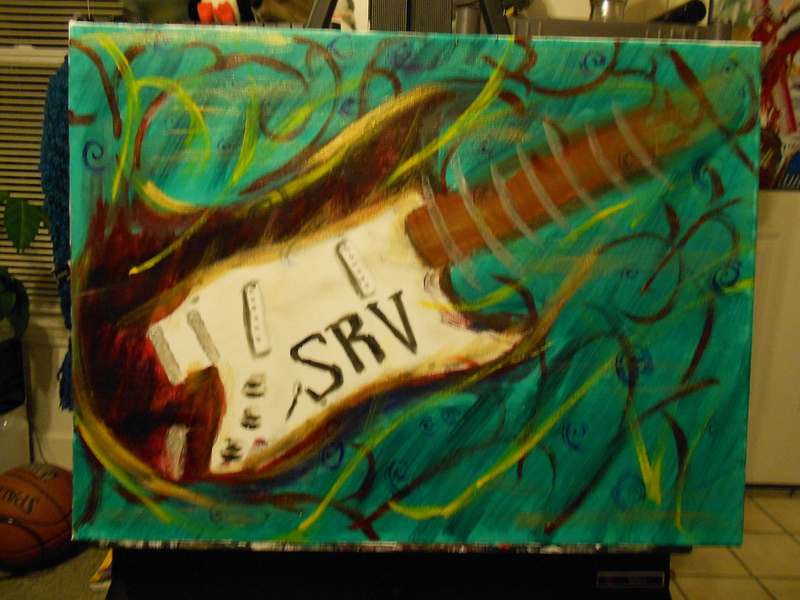 The subject matter he wanted was Stevie Ray Vaughn. Like SRV, Ramin is a gifted musician and I really don’t want to let him down. What I’m posting this evening is the painted start to his painting which I hope he’ll like. 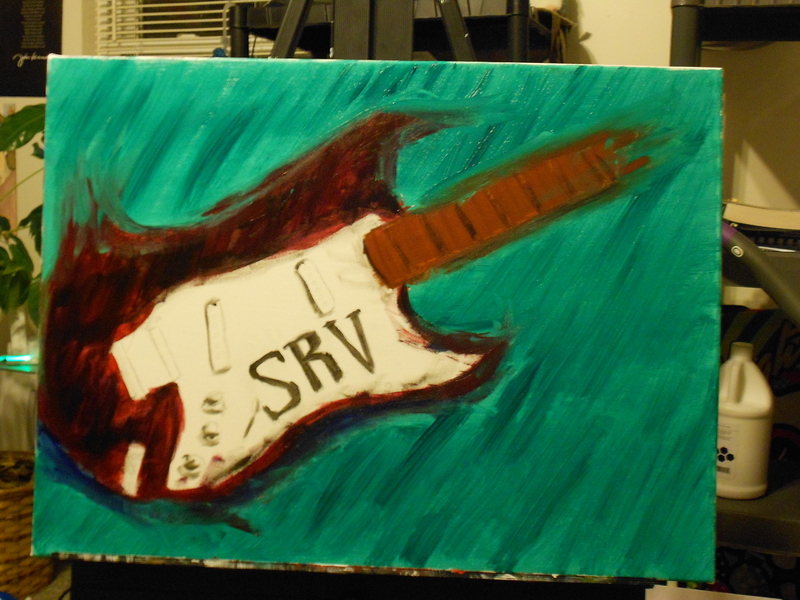 For this piece, I didn’t just want to copy an image of SRV, but rather what I think of when I hear his music. To go a step beyond, I want to incorporate what I think about Ramin’s music, and all the music that has been played together at my parent’s house. My dad, for those of you not in the “know,” is pretty much the Pied Piper of rock in our community in the sense that all kids who like music, come to our house and leave loving it. Yeah, he’s not the Pied Piper in the tragic sense – try to keep it positive kids! UPDATE: New Images, Closer to COMPLETE! I start posting and then life gets crazy – yet here I am, trying it again. Yes, my attempts to date Jason Segel have fallen upon deaf ears, but that doesn’t mean the last month hasn’t been productive. I’m on week 4 of p90x and feel better and look a little better (if I say so myself) and the last nine weeks of school will begin this week. I’ve finished a print for my basketball team and walked into becoming an assistant on a girl’s softball team. See – I haven’t just been watching Castle….all the time….hey, Nathan Fillion has been awesome since Firefly…don’t judge me! Anyhoo – what brings me to the Easel this evening. 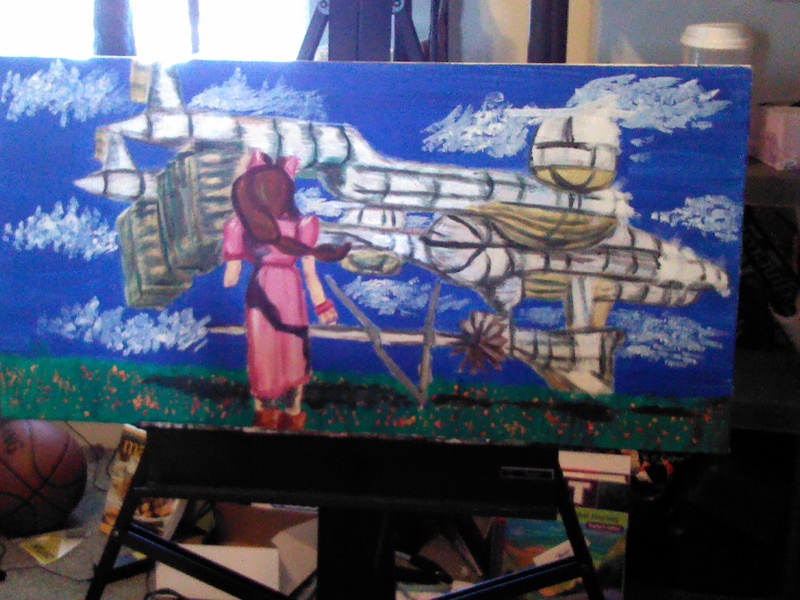 Well, aside from getting a second snow day, I have finally finished a painting a friend asked me to start nearly 3 years ago. A little back story. I love creating things for my friends, mainly little cartoons of them doing ridiculous things. 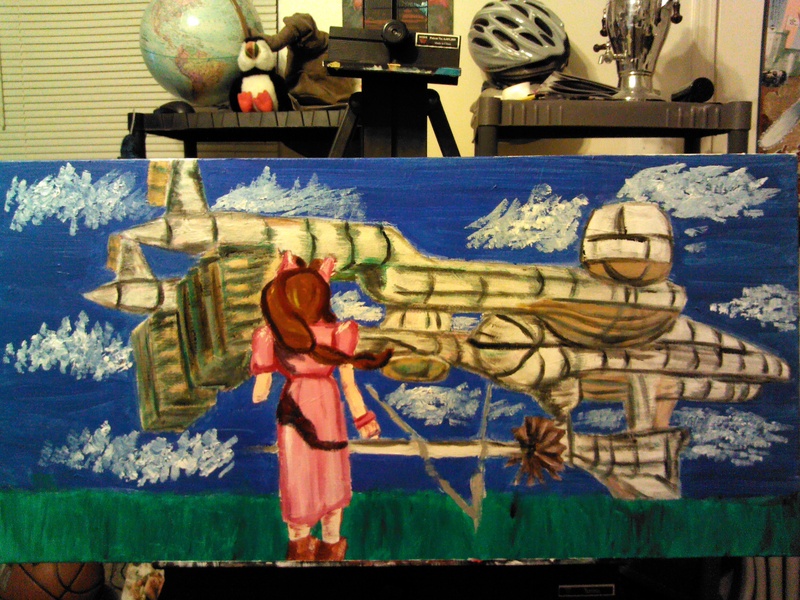 Nearly 3 years ago, a friend asked me to paint Aries and the Highwind from Final Fantasy 7. Of course I said I would, but then I quickly just stopped working on it. I just couldn’t get into the groove with it and I kinda need to be in a groove. I was also working on my Graduate show for my Master’s Degree and was otherwise occupied. Needless to say, the canvas was drawn upon and promptly put in the office. Jp’s birthday is coming up so I thought I’d try to finish the painting that was – and I have….almost. There are a few touch ups needed, a few things added, but I’m pretty happy with it. This is what I enjoy: commissioned work. Technically, I wasn’t commissioned in this case – but I like requests. 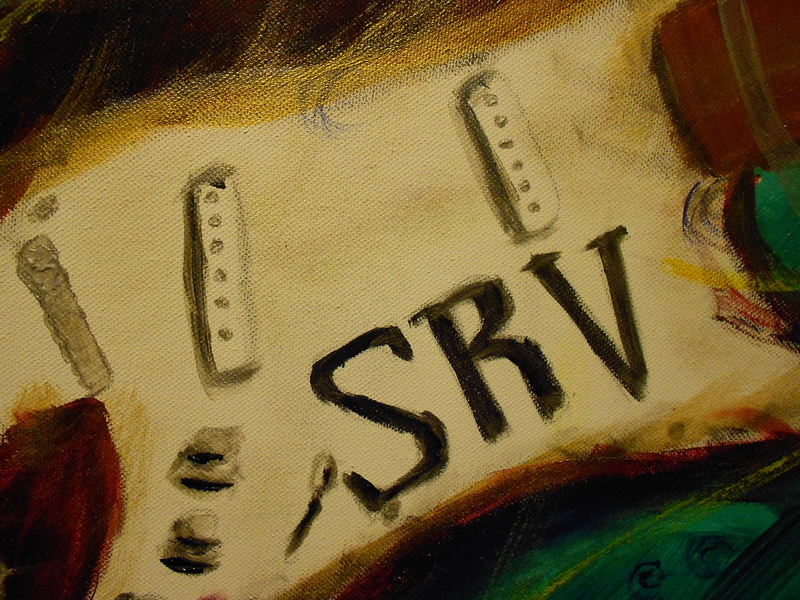 Soon I hope to show you the Stevie Ray Vaughn I’m working on for Ramin – but that’s for another day. Now, why I am writing about a gift for my friend when I’m going to present it to him this weekend? First, I don’t think he really reads my blog that often. If he does, the work isn’t complete yet so there is still a bit of surprise. More importantly, I wanted him to know that I didn’t forget about him or his request. It’s been awhile, but it’s finally here. It doesn’t hurt to be reminded that we aren’t forgotten. Update: Finished Painting! Like I said, I don’t think he reads this blog that often AND it looks a little different in person. This week we will begin a recurring feature here at the Easel in which we sit down with new artist each session and pick their brains about their background, process, and future plans. I would like to introduce to you Rebecca Wheat of Lily of the Valley. A renaissance woman of the arts, Becca has explored and developed a broad range of skills including fiber arts (knitting, crocheting, weaving, spinning), textile arts (sewing, clothing design, handbag design, quilting, and costuming), underwater basket weaving (no really), painting (acrylic, oil, watercolor, pastel), drawing, graphic design, jewelry design, pottery, and pyrography (wood and gourds). As a child, Becca began to draw as soon as she was able to hold a pencil. She was taught to sew and crochet at the age of five and was making her own stuffed animals and dolls soon after. By middle school, she was making her own clothing and stitching her own self-designed embroidery. Her creativity was recognized in school with scholarships to adult level watercolor painting classes and numerous arts awards along the way and by her parents who allowed her to paint all over her bedroom walls. 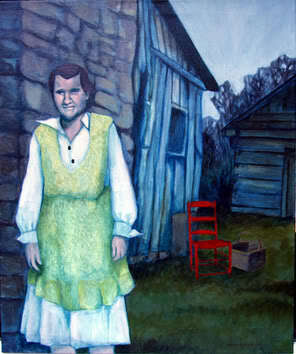 Her middle and high school art education was greatly influenced by Chris Pierce, an influential teacher from Berea College who supplemented her standard education with techniques including the lost wax casting of jewelry, granted her free reign with a darkroom and photographic equipment, and allowed her to do murals on the walls, pottery on and off the wheel, and lino-cutting. She entered Berea College and completed her first year as a studio art major before ultimately completing her degree as an Agriculture major. Throughout college, Becca took several art courses, spent a summer designing a course with painter and instructor Neil DiTeresa, and worked three semesters with Fireside Weavers learning weaving, warping, reading drafts, and loom setup. After graduation, Becca spent a year working with Berea’s Famous Churchill Weavers where she collaborated with the design team and worked primarily as a flyshuttle weaver. She currently works for the Kentucky Department of Agriculture state veterinarian’s office in the equine programs where she is able to indulge in her (second) love of horses. In her spare time, Becca makes jewelry and accessories for sale. 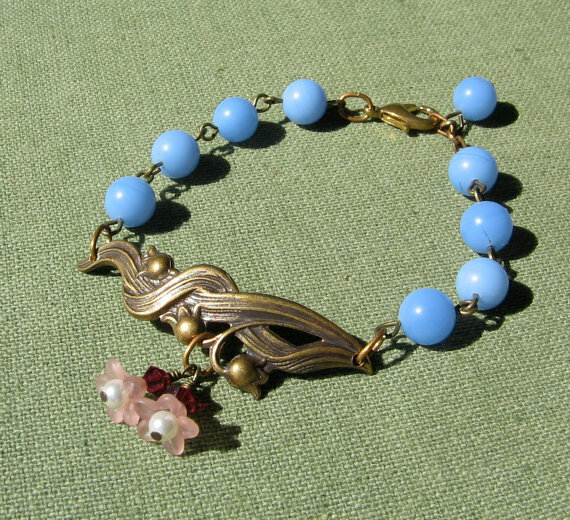 You can find her products on Etsy at Lily of the Valley. She describes her style as vintage inspired and her favorite materials are vintage chains and lockets that can be taken apart and reimagined as a new piece. Becca describes her process as being somewhat tangential. She will develop an interest in particular themes which have historically included natural motifs such as oak leaves and flowers combined with vintage lockets and classic cameos and will ride out that creative wave until it is eclipsed by a new interest. Becca participates in several festivals throughout the year and regularly mans a booth at the Downtown Lexington’s Artist’s Market with her friend Amanda Richie and the invaluable support of her boyfriend Matt. She also has a booth at The Bazaar, a unique gathering place and thrift store that benefits the Lexington Rescue Mission. Her dream is to establish and run a Lexington Artist’s Co-op with permanent space that is used to benefit Lexington and its resident crafters and artisans. She imagines a permanent gallery space, as well as a gallery for featured artists. Prerequisite room to frolic would allow dance classes and an in house coffee shop and artisan pizza café manned by Chef Matt. Until this dream comes to fruition, she pursues efforts to organize local artisans who vend online by establishing Artfire guilds for Kentucky state artisans and participating in Etsy teams. 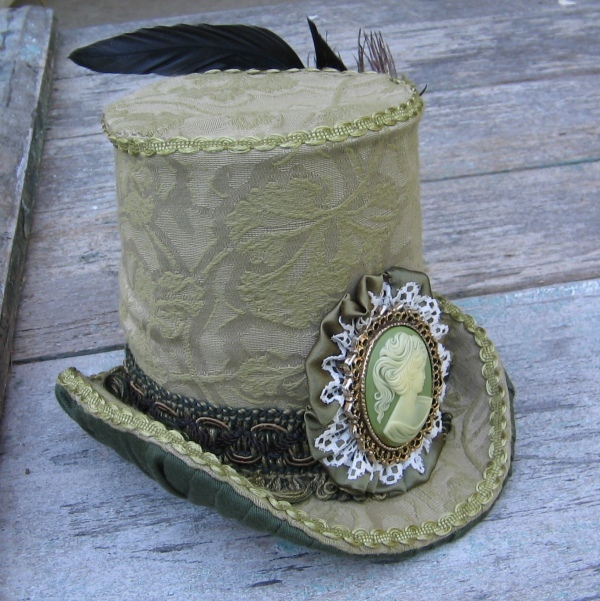 Yes, she even dabbles in haberdashery! 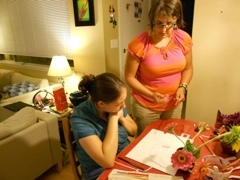 As D3Z previously mentioned, Staci hosted the first ever Errant Easel Workshop on Saturday night. Our topic was Acrylic Painting and I was so excited about it. The opportunity to learn and share what I’ve learned from my talented friends is one of the major perks of participating in the Errant Easel Project. I have so much respect for the artistic inclinations of people like Staci, D3Z, and Brad who all majored in art in college and are brave enough to create and share their work with the world. Well, after Saturday night’s workshop, let me just say that respect has grown ten-fold or more. While visiting the Sweet Corn Festival at Evans Orchard in Georgetown, KY Saturday morning, Adam sweetly bought D3Z and I freshly picked flowers including beautiful Gerber daisies and sunflowers which were soon designated our acrylic painting subjects for the evening. Having appropriated D3Z’s kitchen table, we sat down to get to work. 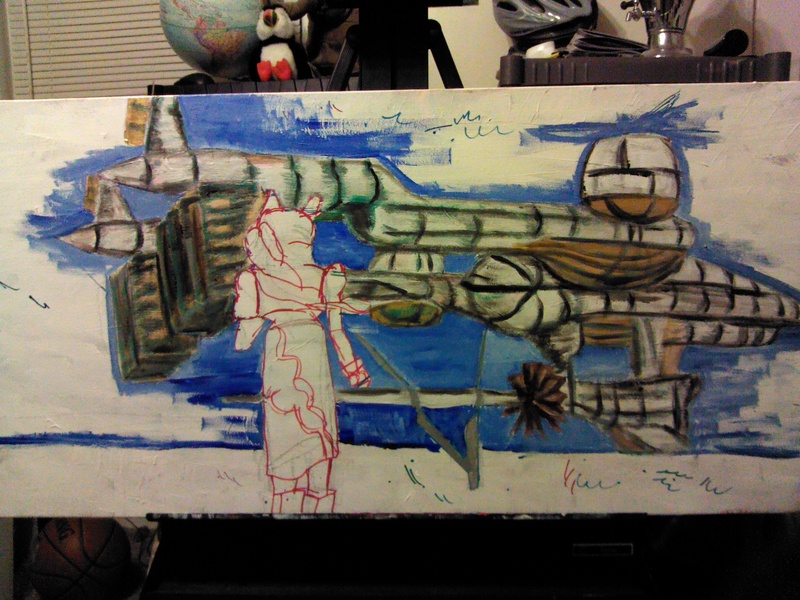 The first lesson of the night for me was getting comfortable with drawing my guidelines for my painting on the canvas. Please don’t laugh too loudly at this but putting pencil to canvas was so very intimidating to me. One might expect the trouble I had trying to translate the three dimensional flower and vase before me into a two dimensional picture on canvas. (Staci was so helpful in explaining how I should think of drawing and painting as layer building like in Photoshop and how I could break 3D objects into 2D geometric shapes to build the image on canvas). However, one would also expect that in the company of close friends I would be reasonably confident enough to put down a rough sketch on the paper. 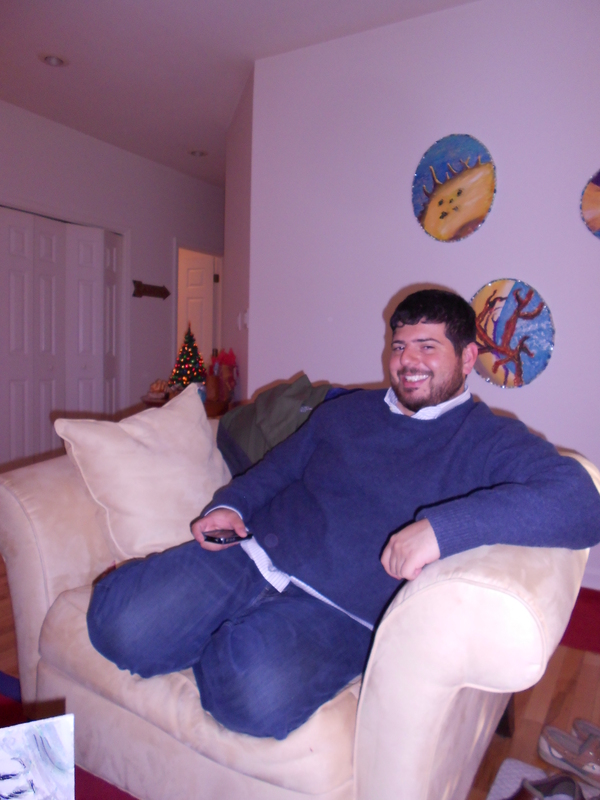 Unfortunately, I felt nearly paralyzed by personal insecurity from the get go. Thankfully, with kind reassurances and pointers in the right direction, I was able to get started. Haltingly. Painfully. And under great personal duress. A great tip that Staci shared with me while drawing was not to worry about making my initial drawing too detailed. The point of the sketch was to give us guidelines that we don’t even have to worry about following if it doesn’t work out. It was really comforting for me to hear that if it wasn’t perfect no one would know because we were just going to paint over it anyway but it was really difficult advice for me to follow in spite of that. The intent wasn’t photorealism but you wouldn’t have known that watching me painstakingly attempt to draw in every tiny plant reproductive structure. 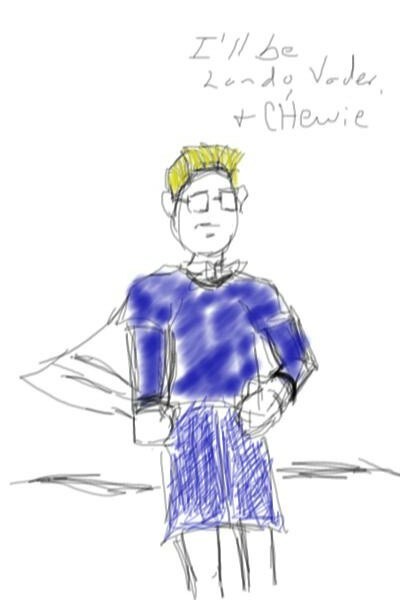 Thankfully, Staci intervened and with her unfaltering patience and excellent demos, the initial sketch was achieved. Me, probably at my most uncomfortable and Staci, probably at her most patient! “Now we get to the fun part!” Staci reassured me. I here learned the importance and effect of using interesting colors for underpainting and doing a wash prior to getting to the top coats of color. We talked about techniques and guidelines for mixing paint and how color eats white and black is such a flattening color. It was really interesting to learn these “rules” and I found myself kind of clinging to them to get me through each step. 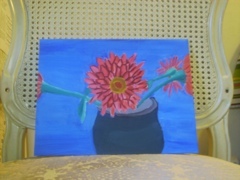 At the end of the night I had a decent attempt at the central flower and some underpainted floral stems. My outlook wasn’t exactly bright and cheery but I was determined to finish the project. After a good night’s sleep, I really didn’t think my flower looked quite so pitiful. I went to Michael’s and acquired some basic paints and value priced brushes to cement my determination and that night I happily and cheerily painted away. I was so much more comfortable the second night. When I finally stopped just before midnight, I was actually surprised to feel slightly pleased with my first attempt at painting with acrylics. A bit more work to be done on the background, but I’ll take it. When my brother and I were little, my parents made us a video tape of movies they recorded off of TV. 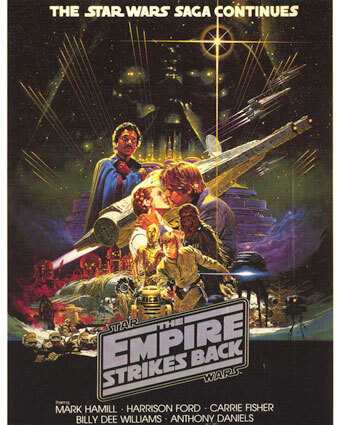 In the middle of the tape was The Empire Strikes Back. I remember fast forwarding through random cartoon one, random cartoon two, and finally seeing those little pinpricks of light that would speed across the screen to form three letters – HBO. This was it – A long time ago, in a galaxy far, far away. For me, this was it. 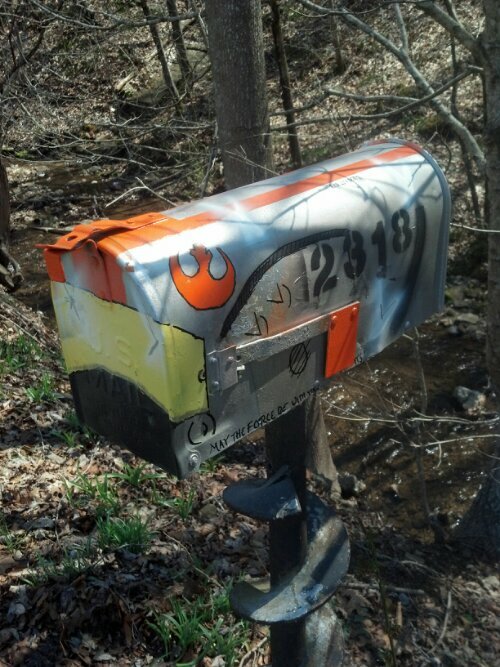 There was no A New Hope or The Return of the Jedi – I didn’t even know they existed! (sorry, I was young) What else I knew about Star Wars came from the Muppet Babies, but that’s another story for another time. Han, Luke, Leia, Chewie, 3PO, R2D2, Lando, Cloud City, carbonite, lightsabers, Star Destroyers, asteroid fields, flippin Darth Vader – characters that would stay with me through adulthood, a story that, for me, has never – and will never – get old. This is where my love of Star Wars originated. Even now, when life is overwhelming, I pop in my DVD of Empire (original theatrical release, not this special edition b.s.) and everything seems a little better. 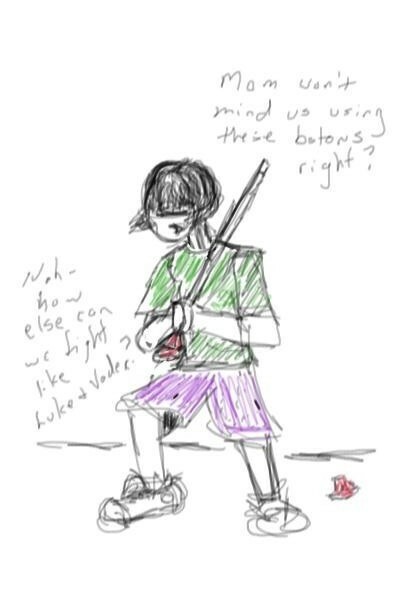 I remember after we’d watch Empire – not often, but once every few months – my brother and I would act it out in the yard with my mother and aunts’ majorette batons. Now, we didn’t hit each other or anything like that, but we would play out the scenes we loved. I even had a pajama top that if I turned it around it would look like Lando’s shirt. Mainly I remember our lightsaber battles that lasted for minutes, but have stayed with me FOREVER. What does all of this fit into my artwork, you may ask. I have found that my most successful works, works that I feel a particular pride in, are works that reflect my family and home. These are themes I believe everyone can identify with – whether you grew up, as I did, in Eastern Kentucky or a city in some far away state or country. I posted earlier that I am working on some ideas to incorporate characters into my paintings. 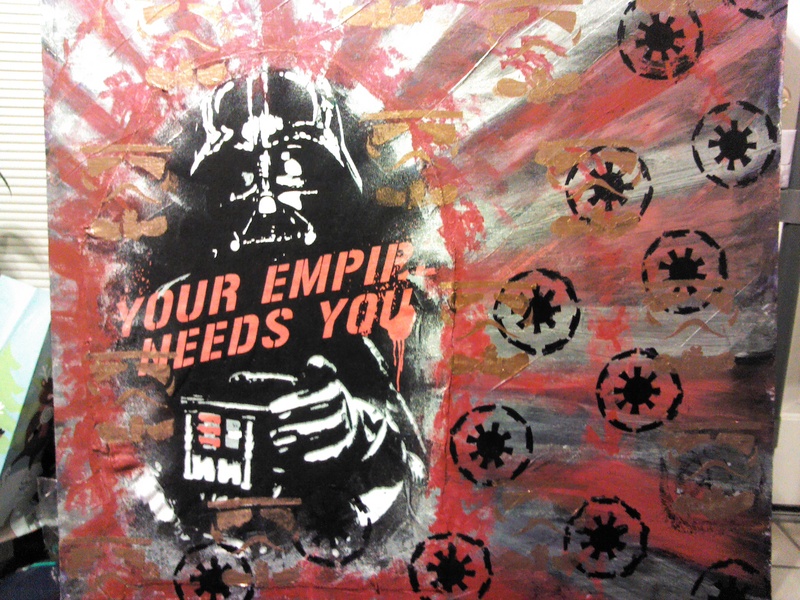 The goals of these paintings are to use aspects of pop culture that I am a fan of (Monty Python, Star Wars, the Beatles, etc) with characters to tell stories that I hope are identifiable to the viewer. The characters I have focused on, so far, are mishmashes of both me and my brother. 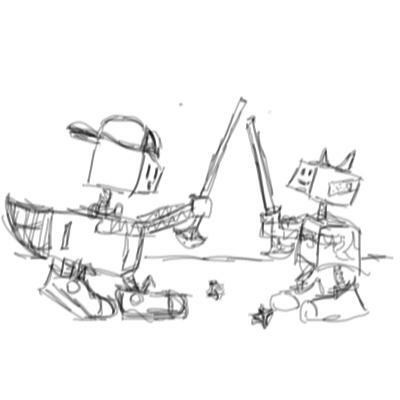 I like all of the sketches so far, but I like my boxy characters the best. What do you think?